It is recommended that the user wear a helmet and other safety gear when operating this scooter. Airsoft GI is not responsible for any injuries inflicted on oneself due to improper use. 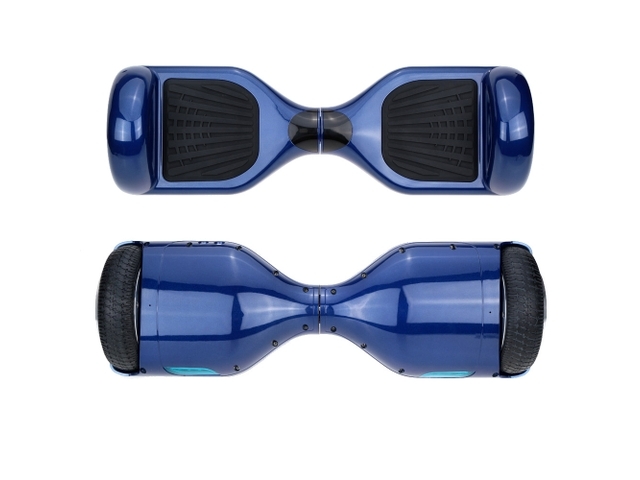 The Smart Dual Wheel Auto Balancing Electric Scooter allows a much more stable ride and a faster response. It is safer and easier to control. The turning radius can be zero, which means that it can be operated in a very narrow space, reaching almost every possible place where people can make. 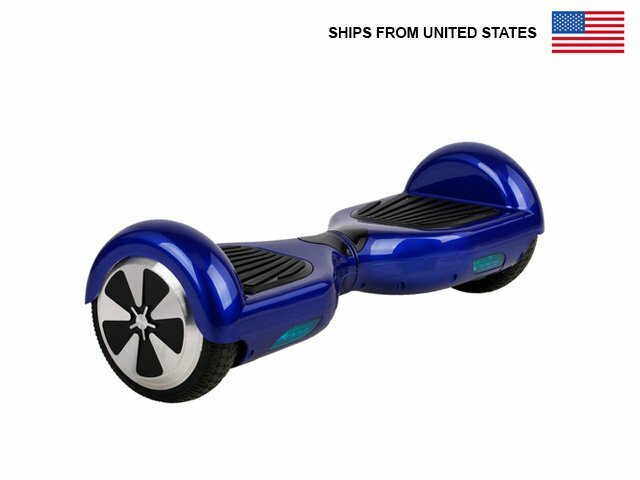 You can also stand still on it and even turn 360 degree in a spot. Just step on, you will be able to ride it. 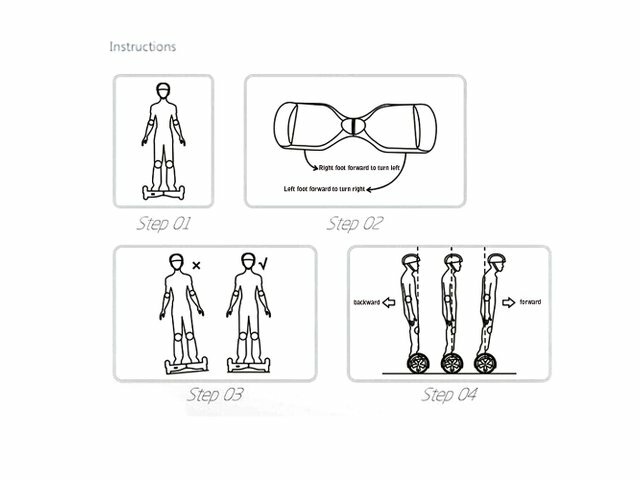 High-tech self balancing technique, double balance with built-in gyroscope and gravity sensor, extremely easy to control, just adjust your body weight center, your scooter will flexibly move forward, backward, left, right, and even turn 360 degree in a spot. Most compact body feeling car in the world, adopts the most advanced technology, ensuring the compactness of the internal parts, making it much smaller and much lighter. 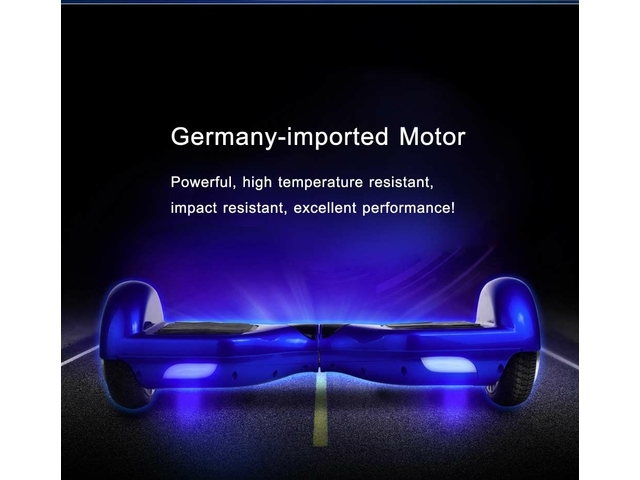 Germany-imported motor, powerful, high temperature resistant, impact resistant, excellent performance. 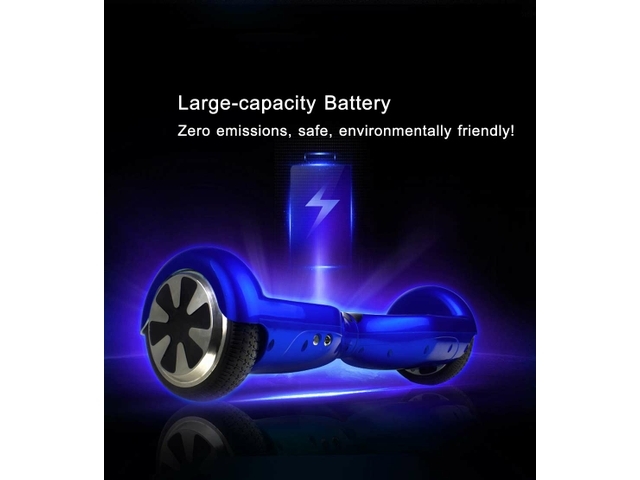 Large-capacity battery, zero emissions, safe, environmentally friendly. 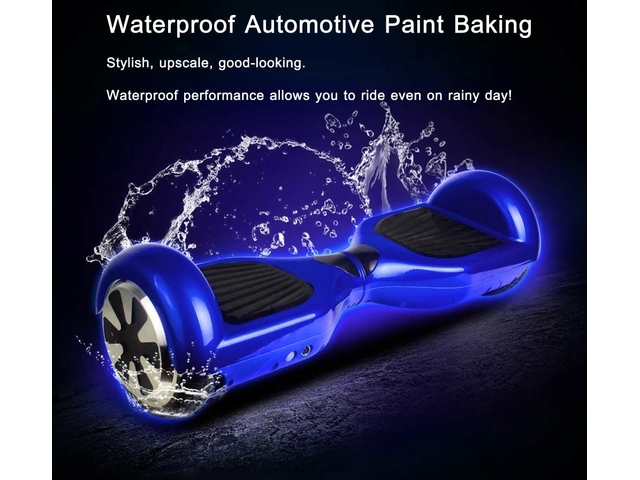 Waterproof automotive paint baking, stylish, upscale, good-looking. Waterproof performance allows you to ride even on rainy day! Aluminum alloy wheel, constructed of aviation grade aluminum alloy, thicker and tougher. Can load a maximum load of 220 pounds. Superior natural rubber tire, wear-resistant, suitable for various road conditions. Body feeling non-skid rubber pedals, can flex up and down to open / close the built-in switch. 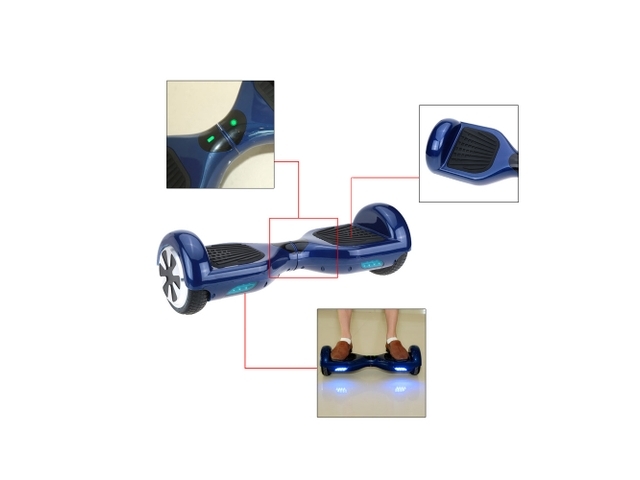 It can detect whether rider standing on it or not. 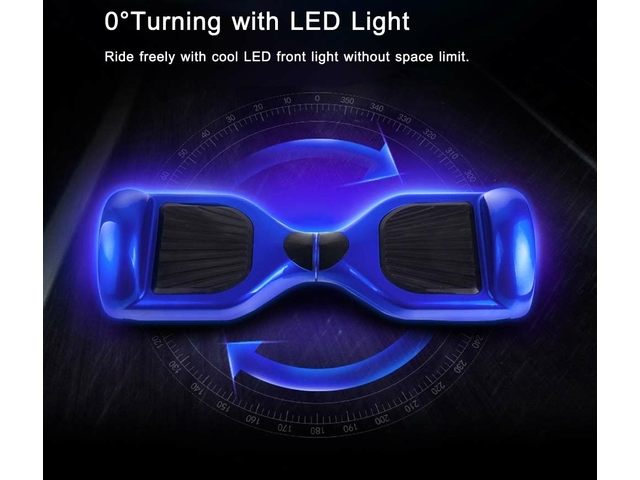 Cool and fashionable LED front lights. Product color in the pictures may vary slightly due to the color calibration of each individual monitor setting, please refer to the real item you receive. Warranty Info: This product is considered a seasonal item that is provided with a factory limited 30-day warranty that covers any manufacturer defects, internally and externally. Warranty will not cover any problems or issues that result from not using product in accordance with the instructional manual, or in cases of misuse or abuse. For warranty assistance, please contact Airsoft GI.